Have More Questions About Window Tinting? Q: What do I use to clean my windows? A: Once your tinting is installed, you want to use a soft cloth, like a microfiber cloth, with water. Do not use Windex or any other ammonia-based window cleaners. Q: How durable is window tinting? A: This will depend on the type of tinting you are installing. Security tints are going to be stronger than solar tints. However, all tints are scratch resistant, so your kids and pets should not cause an issue. However, if the tint is scratched with a key or anything with a sharp edge, it will scratch and possibly tear. Q: Is it normal for tint to turn purple? A: Unfortunately, many people experience their tints turning purple. What this really means is that the tint was dye based and not engineered appropriately for the Australian sun. Quality tints are not dye based and will not fade, even in the Perth summers. Q: Is it normal for tint to bubble up? 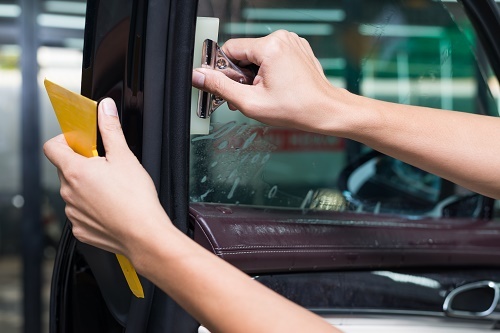 A: Bubbles do happen with window tints when they are not applied properly with quality adhesive. The adhesive failing, usually because of the heat from the sun, causes these bubbles. Quality adhesives and professional installation will prevent bubbles from forming. In some rare cases, you may need to remove all tint (as seen below) and reapply. All of our work is 100% guaranteed and we would cover this expense. Q: Can home window tinting reduce the glare on my computer and television screens? A: Yes! Home window tinting reduces the amount of visible light penetrating windows. Less light, means less glare. Q: Does home window tinting provide privacy at night? A: Home window tinting adds to the natural reflectiveness of window glass. However, it does not provide privacy reflection at night unless you specifically add a reflective tinting film to your windows. One alternative to add privacy to some windows is to add a decorative film, such as a frosted glass film. Q: How long does it take home window tinting to cure or “dry”? A: The curing time for home window tinting will vary depending on the film selected and the conditions inside and outside the home. Typical drying times vary from about a week in the summer to a month or two during the rainy season. Q: What is the darkest legal tint? A: The “darkness” of window tint is measured as a percentage of how much visible light it lets through. The darkest legal tint in Perth is T35 or 35 percent. This means that 65 percent of the visible light is filtered out. Q: How long will it take to install mobile window tinting? 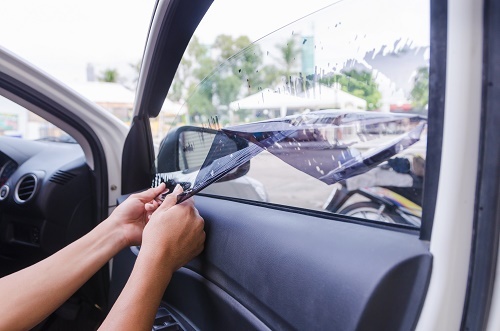 A: The specific vehicle you have, the condition of the windows, and how many windows you are tinting will all determine the amount of time it takes to tint your car windows. Generally, you can plan on anywhere from 30 minutes to two hours. Q: How long should I keep my windows up after tint has been installed? A: Generally, you want to keep your windows rolled up for 24 hours after the tint has been installed. When your tinting is completed, we will give you follow-up instructions.